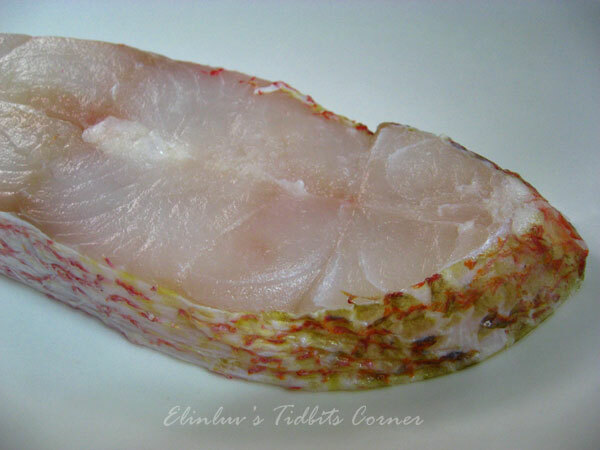 Bought a piece of red snapper fillet from Jusco a few days ago. 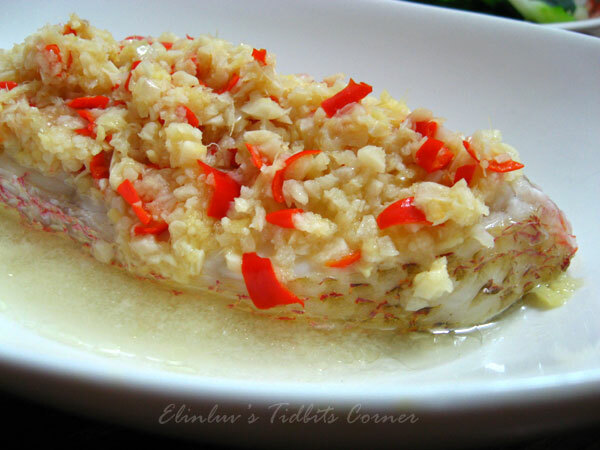 Ran out of idea how to cook this piece of fish steak :p, then suddenly I remembered the new cookbook - Madam Choong's Nostalgic Recipes that I bought a month ago , has this very appetizing looking steamed fish recipe with lots and lots of ginger and garlic and chillies. I flipped to the page and jotted down the ingredients and tada...next I had this a amazingly delicious steamed fish set on the dining table. The steamed fish smells good ! A keeper for sure. It is so freaking healthy that I want to have this everyday if possible...that is how crazily in love I am with this dish. 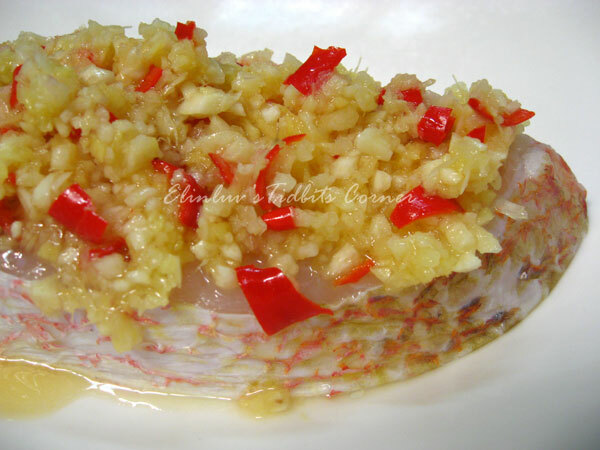 The fish is fresh and the fragrant from the mixture of chopped ginger and garlic and hot chillies really whets my appetite. Lip-smacking good ! Heat steamer to rolling boil, put in the fish and steam for 8 minutes. 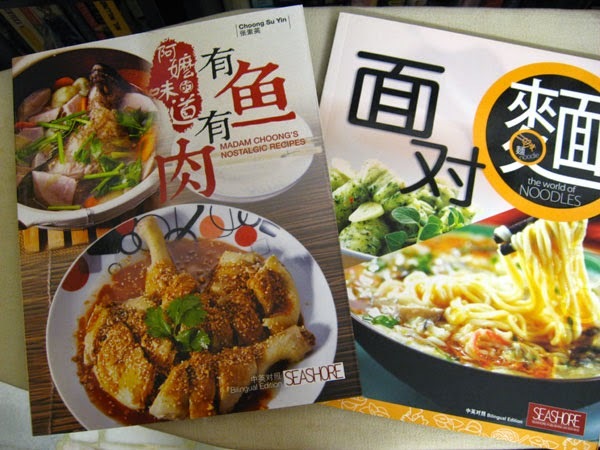 Take out and serve hot.